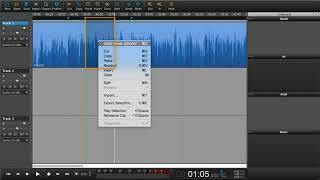 Hindenburg Journalist PRO is for the journalist and podcasters who wish to make more comlicated or polished productions. 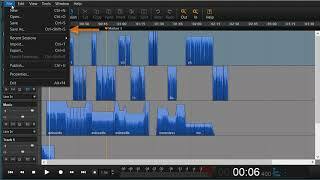 The additional tools found in Journalist PRO will make your professional life as an audio producer more efficient. 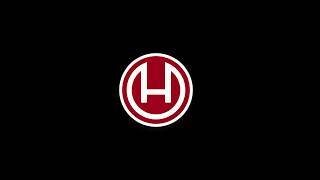 What makes Hindenburg so special? It’s like having a sound engineer with you at all times. 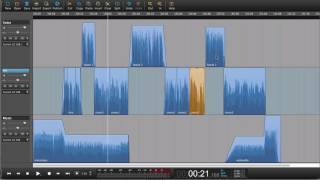 Automated levels and EQ ensure broadcast quality segments. 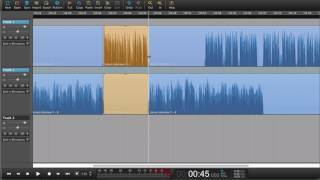 Clipboards, Skype recording and Publishing tool save you time and money. 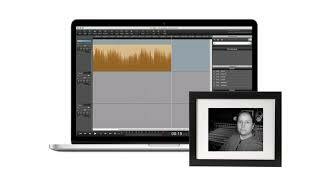 Hindenburg Journalist PRO is designed for audio story tellers. 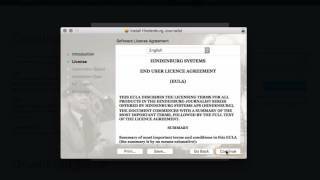 Learn how to download and install Hindenburg. 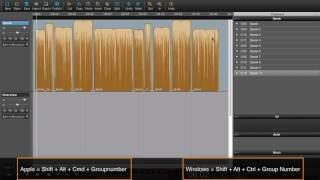 In this beginner tutorial you can follow all the step, from importing audio to the finished segment. Workspace, tracks, menu's and navigation, meters and counter and more. 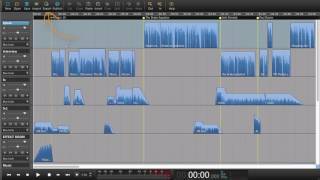 Learn how to use the "clipboard" to optimize your radio production workflow. 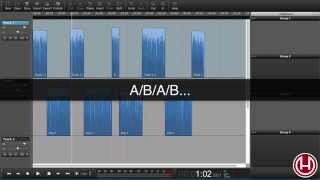 Learn how to do simple A/B montaging and music mixing. 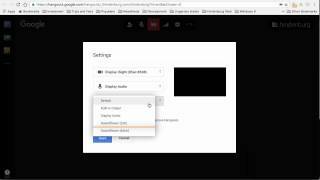 This tutorial will show you how you can record from Google Hangout, Skype, or other AoiP applications. 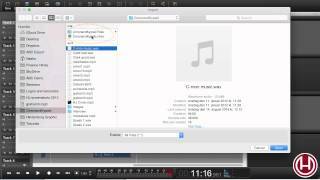 If you are on Apple, then you need to install Soundflowerbed. 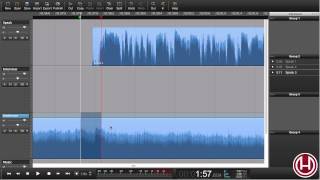 When editing Phone interview you might need to edit overlapping audio. 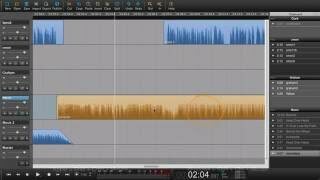 The overlapping audio needs to be moved and the subsequent audio needs to be in sync. “Insert special” takes care of this situation. 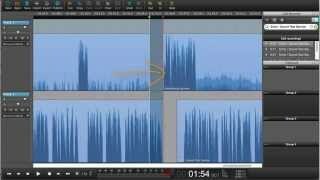 Noise reduction is an effect that can help reduce noise in your audio recordings. 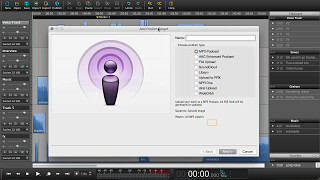 Add Chapters, images and Links for enhanced podcasts. Play audio back at increased or decreased speed. 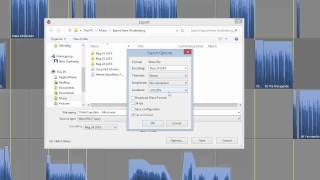 Learn to record audio coming from a browser or other application on Windows and Apple. Understand the basics of a region. Move, trim and gain a region. Snap the regions to point of interest; playhead, markers, end lines.. 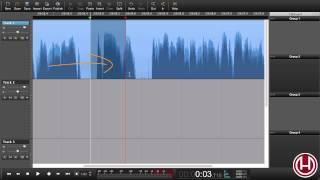 The Cut edit will only affect the region - not the entire track. 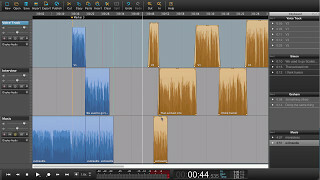 Shuffle trim a a editing feature where you can move the edit point of an edit without breaking the edit apart. 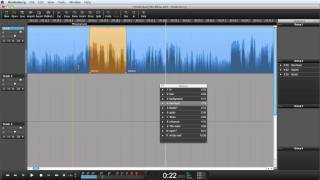 This is useful if you need to finetune the audio edit. 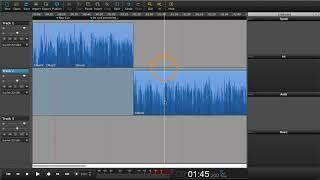 Sliding the audio inside the region can be used for changing the offset time of the audio inside a fixed region length. 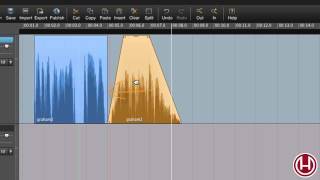 Create fades and cross fades. 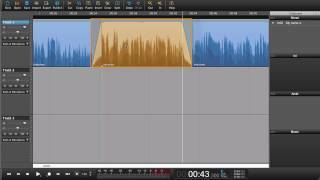 Adjust fades on two regions at once. 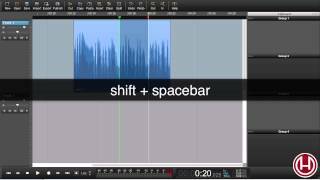 Create fades and cross fades with shortcuts. Also make fades over multiple regions. 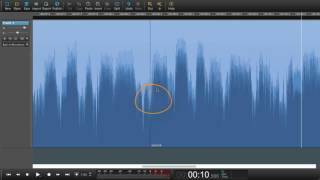 Learn how to “Duck” the music underneath the narration. Adjust “Duck” in real time. 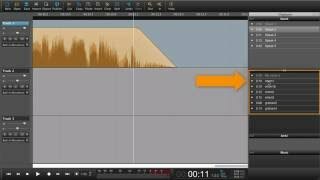 Create a soundbed with the “Slope” function. Create a selection. Use in & out markers. Remove a selection. Use the Marquee tool to select regions in Hindenburg. Hold shift and drag a Marquee over the desired regions. Select all regions on all tracks that follow the current region. 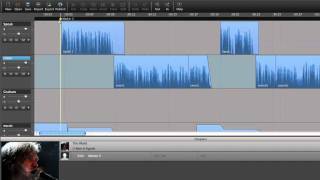 In this tutorial you will see three ways of highlighting all following regions. 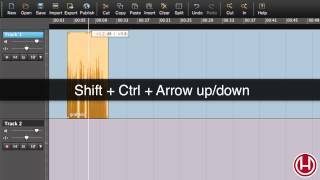 Set the gain of a region using: mouse, keyboard or automation. 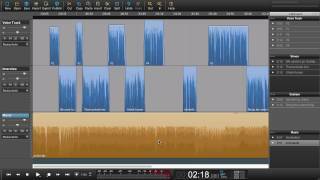 Sometimes a recording is to low. Learn how to gain the levels so the auto level again works. 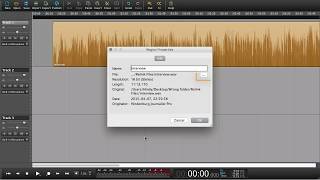 Learn how to create versions of a session without creating new session folders and copying audio. Add new groups to the clipboard. Delete, rename or rearrange groups in the clipboard. 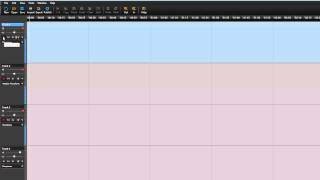 Add a sequence of regions or clips to the clipboard. 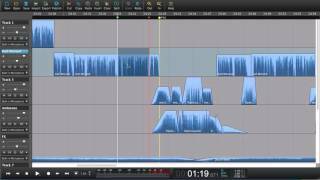 This could be your recorded voice tracks for a radio show or podcast. Select all takes and place them in sequence in the clipboard. 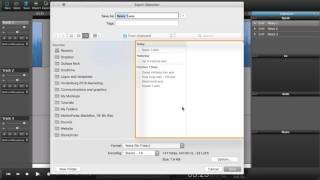 Export clips directly from the clipboard. This could be soundbites from a news interview or more elaborately edited clips. Right-Click on and choose “Export selection”. When collaborating it is possible to merge sessions to create a master session. Rehearse the edit before doing the edit. 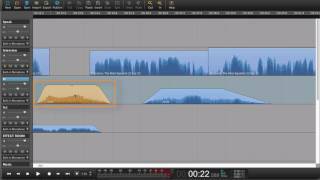 Playback and hear the edit before you cut out the selection. Playback the selected selection. The selection will loop back. Adjust the in and out markers. Live to Tape recording faster than live. Record News with narration and clips faster than real-time. 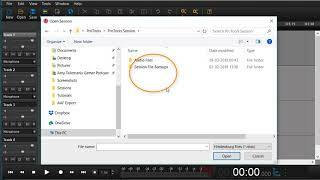 Get a Pre & Post roll of the clip and automatically continue recording. Even the levels for the clips are set while recording. 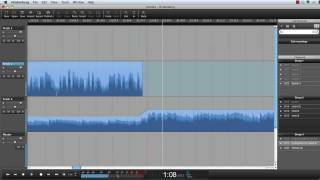 Link track together for easier editing with tracks that need to be in sync. 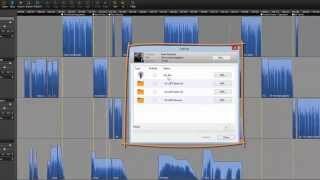 Links tracks together when editing on tracks that need to be in sync. 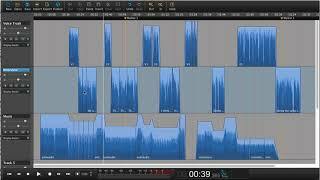 Edit, Trim, Fade across all the linked tracks. 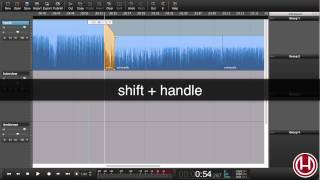 When recording to Linked tracks the tracks, tracks will be Armed simultaneously. To unselect at track from being armed, hold Shift and click the Arm button. 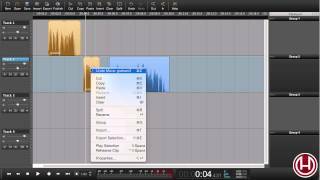 Plugin any USB microphone or audio card and begin recording on as many tracks as you like. 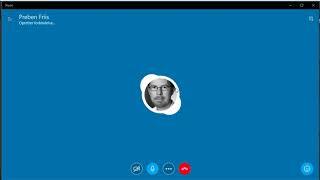 Skype version 8 does not support the old Skype API. Therefor the CallRecorder in Hindenburg no longer works. Fortunately there is alternative ways of recording Skype. This Tutorial will show you how. 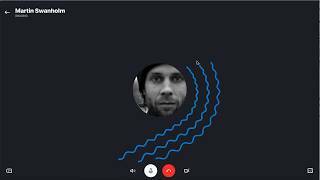 The same method can be used for FaceTime, Google Hangout, or any other web based AioP chat. Export can have a target level. -23, -24 or -16 LUFS. The exported file will be annalysed and have the overall LUFS level set to the desired target level. 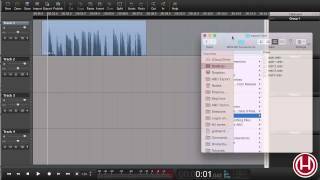 Learn how to set up the export levels in this tutorial. Publish to different destinations with different LUFS levels. Set one publish target for -24 LUFS and another for -16 depending on if the segment is being used for Radio Broadcast or Podcast. 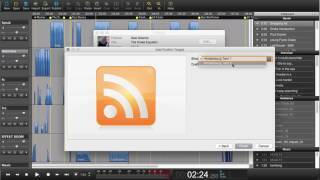 Use the Publish feature to upload audio directly to Soundcloud. 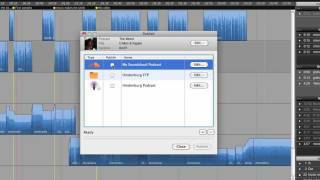 See how to set up your Soundcloud account within Hindenburg. 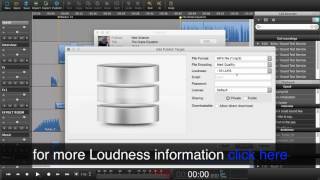 It’s possible to have the audio loudness normalised at -16 LUFS. See how to set up your Libsyn account within Hindenburg. 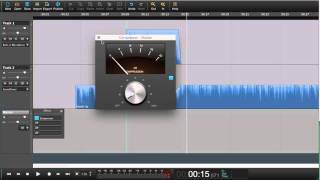 How to add a master-track and apply volume changes and effects to the entire session. 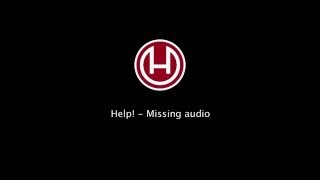 Have you ever experienced opening a Hindenburg session just to find your audio is missing? Well, hopefully not. But if you have, here is a tutorial to show you how to avoid that in the future. 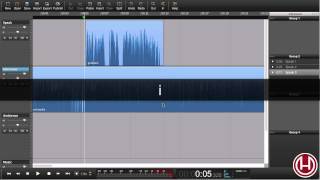 Making my voice sound good! 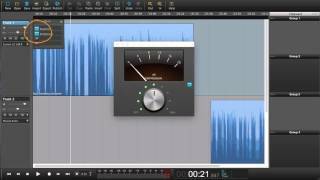 Have you ever wondered what an equaliser did and what a compressor was. Have you ever had some background noise that you could not get rid of? 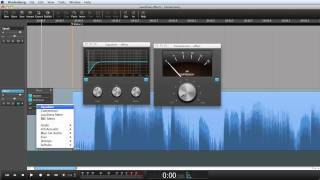 In this tutorial we take a quick look at how you can improve the sound of your home recording. See a few goods trick for things to do … and not to do, when voice tracking. Arm a Track ready for Recording. 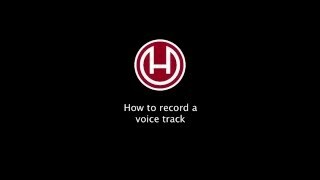 Record a voice track and correct mistakes. 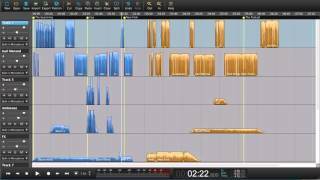 See how you prepare for recording - do the recording and correct mistakes - and then export your final work. 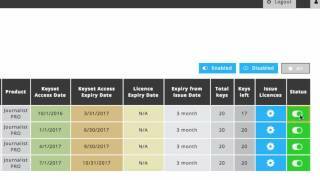 Learn how you send out licenses from your keyset. Add the wording to the mail that will be sent out and manage the users. 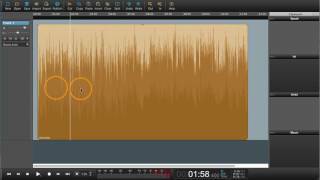 The best audio compression algorithm right now is OPUS. Hindenburg now comes with OPUS. FLAC is an added bonus to adding OPUS. 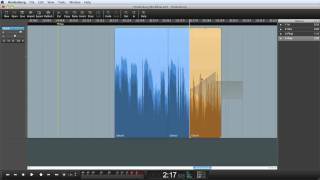 Please do try and export a session in OPUS and a low Bitrate and hear how amazing it really is. Blank regions … you might have experienced that you opened a session and it had blank regions - regions with no waveforms or sound in them. 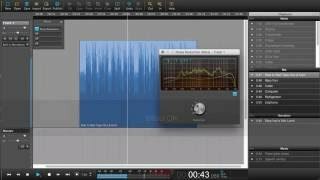 This tutorial will show you how to relink the session and the audio. 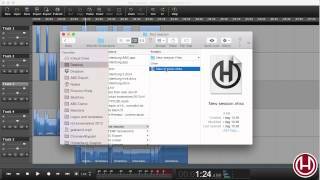 Get at “quick” overview of the layout and possibilities you have with Hindenburg. 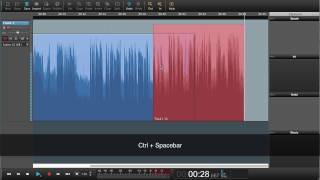 In this lesson we will cover some of the editing basics. How do the selection tools work? What is a Region? 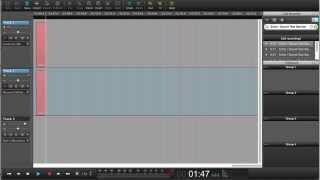 How do I create a fade? What is the difference between cut and clear? 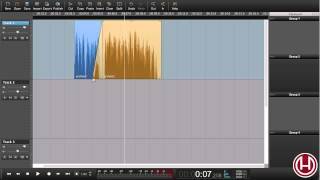 In this lesson you will learn how to Make a track ready for recording. 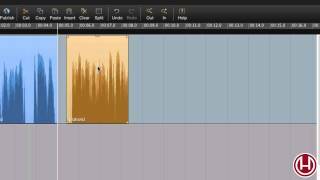 How to record your Voice Track and how to correct mistakes in your narration. 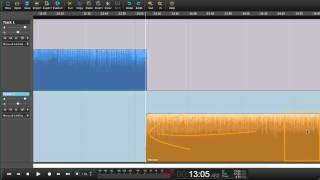 In this lesson you will learn how to make adjustments to the volume. 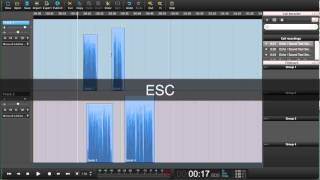 If you master the three basic tools; Fade, Duck and Sounded .. then you can begin to create great sound. 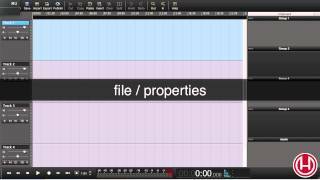 In this lesson you will learn how to organise your audio material. Some of the things we will look at i the Clipboard, how to rename clips and set markers. 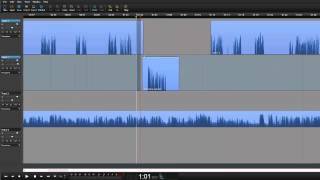 In this lesson you will learn how to assemble an audio segment. We will use the clipboard and see a number of different tricks and tips - that will speed up your work. 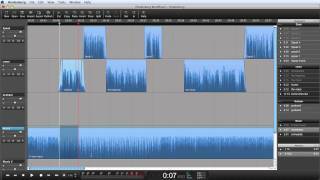 In this lesson we will take a closer look at multitrack editing. 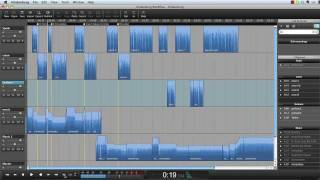 Edit on all tracks, manipulate music and learn a few new features and shortcuts. Mark points of interest in the Audio. 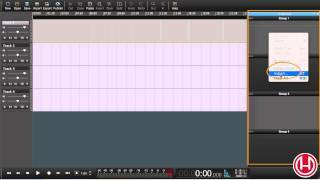 The Cue Point will be locked tot he audio and not the timeline. 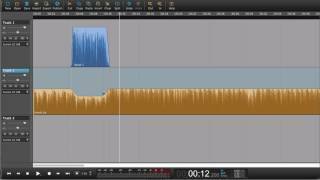 The Cue Points will follow your edits. Your search did not match any tutorial.